Many companies waste time and money by making order fulfillment errors, failing to streamline the shipping process and neglecting to reduce warehouse costs. A barcode data collection system can help businesses avoid processing errors and incorrect shipments, and it also provides them with more data that can be used to reduce costs and make operations more efficient. In the past, companies had no choice but to rely on manual and printed pick lists, explained Practical Ecommerce contributor Dale Traxler. The lengthy process included many steps: Order was received and processed, picking slip was printed and assigned to an order clerk to fulfill, order was checked and moved to the shipping department, shipment was packaged and labeled, boxes were prepared for pickup and then the order was sent to the customer, who was notified that their shipment was on the way. This process includes a high probability for error, lost orders or slow processing. 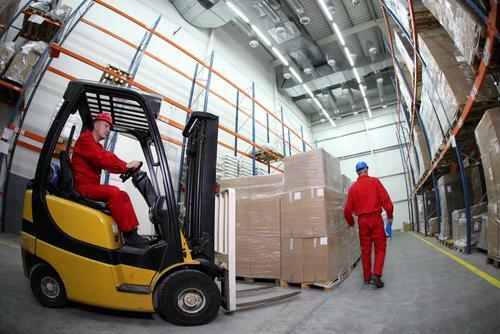 Traxler explained that these problems are further compounded by a high turnover rate in warehouse staff, which compromises a company's ability to manage its inventory and provide efficient order fulfillment. No matter how many quality checks are made, errors are likely to occur. These issues are much less common, however, if barcode software is used to reduce the number of fulfillment steps needed. More accurate and consistent fulfillment can also be achieved using a more consistent order fulfillment structure. Companies should establish a protocol that each worker can follow, and review the process on an ongoing basis to try to identify other areas where efficiency gains could be made. "Review your fulfillment process at least every six months. Evaluate performance. Ask your employees about areas they find challenging and ask them how to improve," advised Traxler. "Constantly monitor shipping charges. Companies like UPS and FedEx may seem like the best choices. But when you factor in fuel surcharges, home delivery add-ons, and so forth, you may be better off with the U.S. Postal Service for some types of packages." During Logistics Management's recent 2013 Technology Roundtable about the supply chain, and technologies that can help make it more efficient, David Krebs, mobile and wireless vice president at VDC Research Group, shared his thoughts about the importance of order fulfillment. "With the shift to multi-channel we're seeing a greater emphasis being placed on perfect order accuracy," Krebs told Logistics Management. "The penalty of errors and poor performance is heightened and can have a lasting impact on brand perception. In addition, multi-channel is driving the need for more efficient returns processing capabilities to support the increase in returns, the need to manage split case and full case picking in the same facility, and the overall shift from batch or wave processes to more dynamic on demand systems."